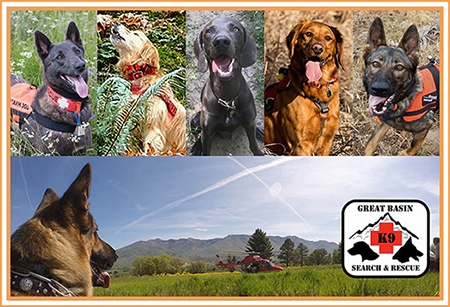 Great Basin K9 Search and Rescue (GBK9SAR) is a non-profit 501 (c) (3), volunteer organization with operational members in Weber, Summit, and Salt Lake Counties. Our mission is to train K9 SAR teams and certify them to the highest standards in order to provide K9 SAR services, at no cost, to public safety organizations throughout the Intermountain West. GBK9SAR is a proud member of Tri-State K9 SAR, an association of search dog teams from across the Intermountain West (Utah, Wyoming, Idaho, Montana, and Nevada). Tri-State has established a rigorous set of certification standards and all member groups have agreed not to field any dog teams that have not met these standards. To see these standards, click here and then click on "Standards". 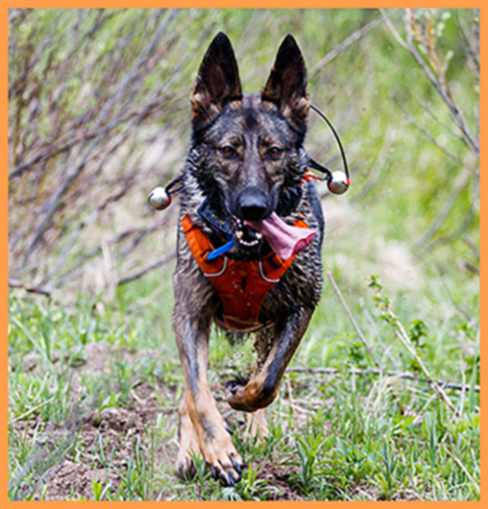 We also have additional Great Basin K-9 SAR standards which require "out of area" evaluators and a separate GBK9SAR open and shoreline water search standards.